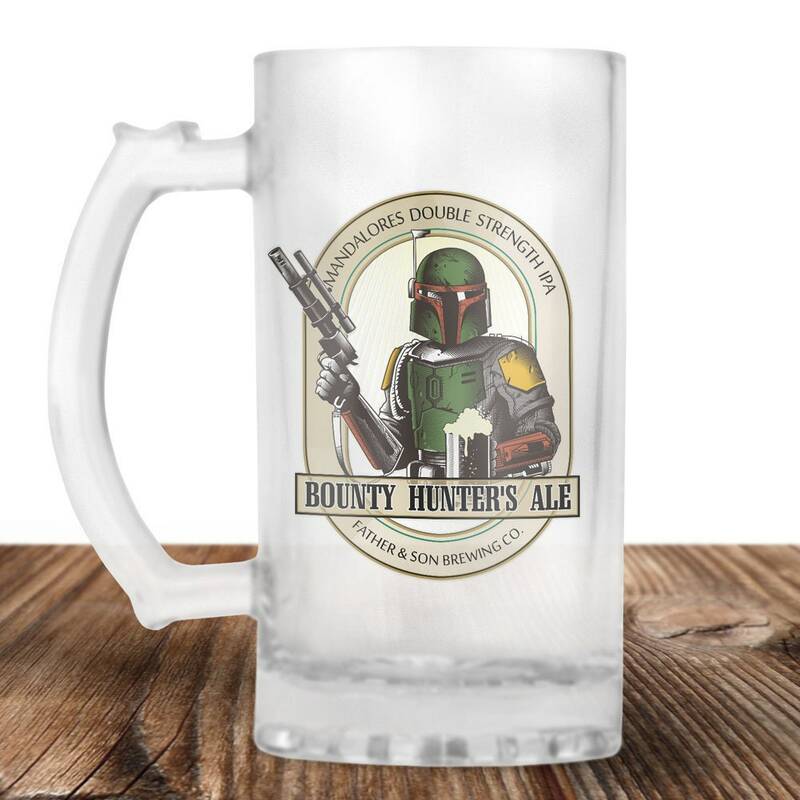 Boba Fett on a Frosted Beer Stein! Boba Fett Bounty Hunter Ale. Father Son Brewing Company. See what we did there! This is the perfect gift for the Star Wars Beer Lover in your life! Do you know a Star Wars loving Beer Drinker? I think we all do! They will be so impressed with your gift giving skills!! These Frosted Mugs are the perfect addition to your kitchen! These 16 oz Frosted Beer Mugs make great gifts for beer drinkers and cold drink lovers! Chill them in the freezer and fill them up with your favorite beverage! * Our Frosted Beer Steins are dishwasher safe but we recommend hand washing our artwork for a long happy life. * Due to differences in computer screens the design color may appear slightly different than actual product. We pride ourselves on fast shipping and top quality products! We are working very hard to get your order out to you within 2 days after ordering. Most of our products ship out the same day! Item was perfect and supremely well packaged for shipping. Great mug! My husband loved it! Good quality, a little smaller than expected, but loved all the same.